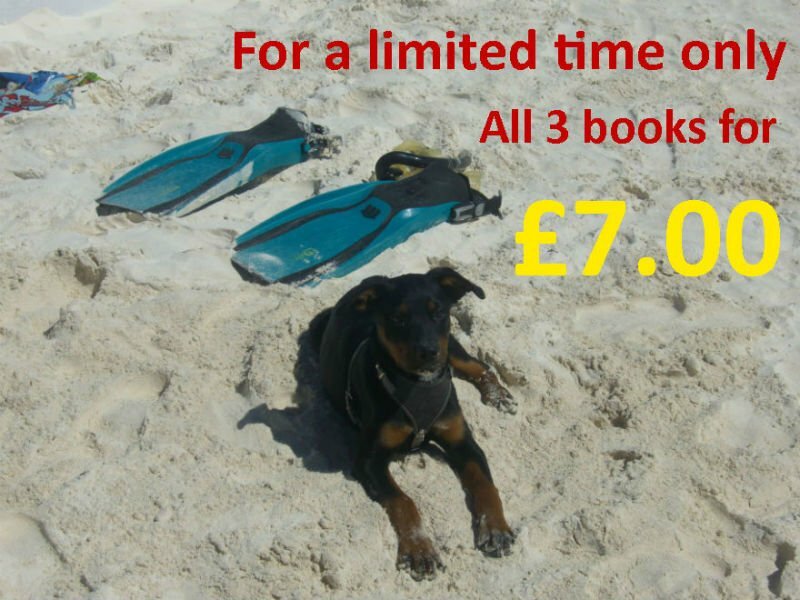 For a limited time only, all three John Triggerfish books available as an ebook download for only £7. 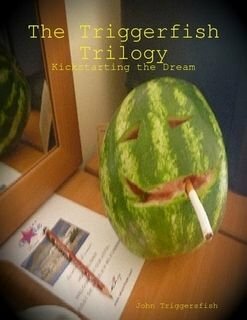 Simply visit http://www.lulu.com/content/e-book/the-triggerfish-trilogy---kickstarting-the-dream/22076158 to buy. Secure and easy payment via credit,debit card or PayPal. Read it on your smartphone. Simply download an ebook reader from the playstore or appstore. Visit the above link. Buy and download. The Triggerfish Trilogy: Kickstarting the Dream. 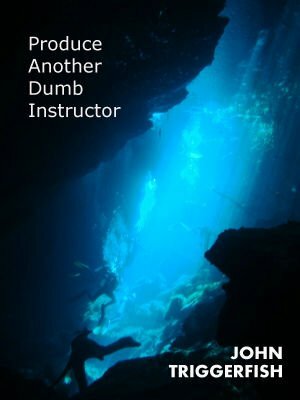 John Triggerfish starts an adventure to find meaningful employment in the scuba diving industry. This is his complete sub aqua story. From Burnley to Thailand and back via the paradise of the Yucatan and the utopia of Hartlepool, among some other very very special places. Meet ladyboys, gangsters, terrorists, dolphins and a monkey. There's also sharks, because every book about scuba should have some sharks in it. John Triggerfish lost everything and decided to start a new life in paradise. It didn't quite work out that way, although the ladyboys were pretty interesting. This is his story about becoming a Padi diving professional and meeting all manner of characters on his travels around the wonderful Kingdom of Thailand. Then of course there's his relationship with all the women that he meets whist cruising around the beaches and bars. That's pretty interesting/disturbing. 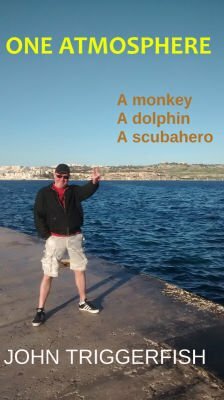 Add in a few nutters from Blighty and some of the best diving on the planet, and you've probably got the funniest book about scuba ever written. 232 Bars is NOT for the faint hearted. Please don't bother to read if easily offended. My name's John Triggerfish and I'm a scuba diving legend. Jacques Cousteau has nothing on me. He might have been the pioneer of underwater exploration but I'm the sub aqua king; and what I don't know about diving and adventure isn't worth knowing. I've come a long way in a big way. Especially in a few Thai bar girls; but that was yesteryear and this is now. I'm currently at the top of my game with hundreds of diving hours under my weight belt and this time it's as close to a true tale as you can get, nearly. There's a monkey involved in this story. Everybody loves a cheeky monkey. There's sharks too. Everybody loathes sharks because sharks are sharp toothed evil motherfuckers that cause unnecessary chunky chum filled limb losing watery death. There's a dolphin. There's a beautiful dolphin straight out of a fairytale, because every good book has to have a dolphin in it. This is a story about returning from Mexico in one piece and making friends. Yeah. Real friends. 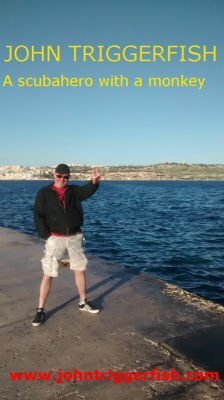 Having problems downloading for Kindle? Alternatively visit Amazon bookstore and search for John Triggerfish. Freya, somewhere in the Pacific Ocean.